Acupuncture’s impressive track record at treating pain has earned it a place in mainstream medicine, with millions of Americans seeking the treatment every year.  At NYPT Health and Rehab in the Flatiron District of Manhattan in New York City, the impressive team of affiliate medical professionals includes licensed acupuncturist Ansgar Lee of LES Acupuncture & Bodywork. If you’re looking for integrative pain management that includes acupuncture and Chinese medicine, call NYPT Health and Rehab or book an appointment online today. What are acupuncture and cupping? Acupuncture is a Chinese medical technique that involves stimulating specific points on your body by inserting thin needles. When done by a skilled practitioner such as the NYPT affiliate staff, the needling is virtually painless. According to Chinese medicine, the needles help the flow of energy, known as chi, travel along particular paths, or meridians, of your body. Western medicine believes that acupuncture’s pain-relieving effects are due to its influence on neurotransmitters, hormones, or the immune system. In addition to inserting needles, your acupuncturist may use cupping therapy to facilitate pain relief. They place special cups on your skin that create suction. This treatment helps relieve pain and inflammation, increases circulation, and supports relaxation. How does acupuncture help relieve pain? Many studies have shown that acupuncture is an effective treatment for acute and chronic pain caused by traumatic injuries or repetitive stress. Acupuncture can even relieve persistent pain that other treatments, such as medication, have failed to alleviate. But acupuncture doesn’t merely relieve your pain; it also accelerates recovery time by encouraging your body to heal itself faster. You should arrive at your acupuncture appointment in comfortable clothing that allows easy access to the problem areas of your body. NYPT’s professional affiliate staff greets you and asks questions about how you’re feeling to determine which points on your body need treatment. They may play soothing music to create a relaxing atmosphere during your acupuncture treatment, as well. The needling itself is virtually painless and doesn’t typically cause bleeding. You may notice an immediate decrease in, or even elimination of, your pain during an acupuncture treatment. Most people require several sessions, usually spaced about a week apart, for optimal recovery. If you’re interested in learning more about how acupuncture may help relieve your pain, call NYPT Health and Rehab or book an appointment online today.